Enjoy Beachfront Living in this stunning 1st floor totally remodeled Oceanus Condo. 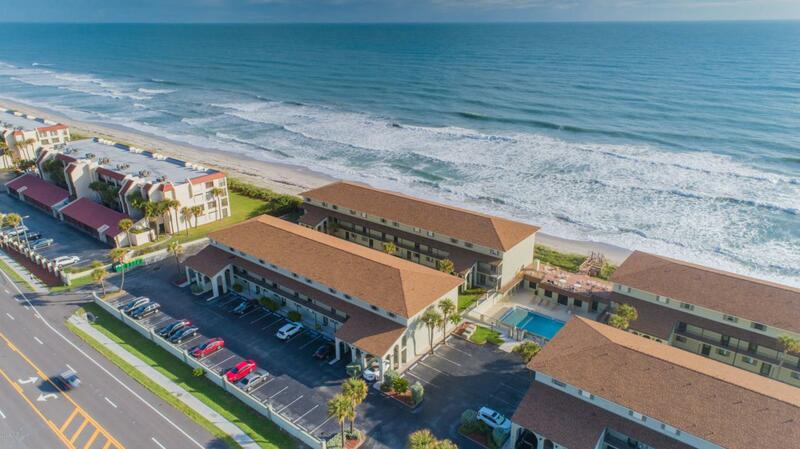 Beautifully maintained this condo is oceanfront living at its finest. Master has private balcony. Amenities include a pool, clubhouse, accordion storm shutters, and private beach access. All furnishings available. Conveniently located walk to restaurants, shopping, and a short drive to Melbourne Airport. 45 Minute drive to Orlando International Airport.